Small and light weight race bell. It has a standard clamp 22-23,5 mm, small but effective. The solid body creates a clear and loud sound. 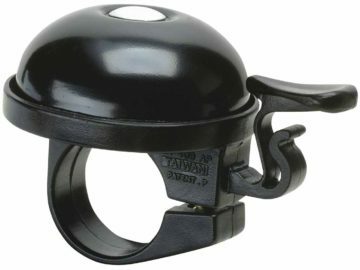 Bracket for handlebars up to 23,5 mm in diameter.